I’ve been attending the TED or TEDActive conferences for well over ten years. 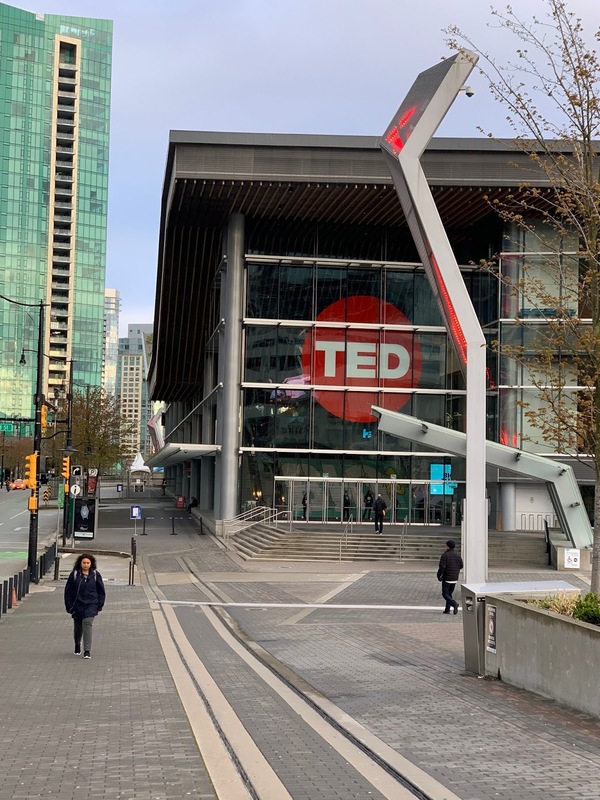 As it has been for the last few years, this year's TED is held in Vancouver, British Columbia. As usual, I come with mixed emotions—looking forward to learning, to being challenged, to meeting interesting folks, and to have the talks force me to think, while dreading becoming mentally exhausted, eating too much, meeting too many people, and getting angry at some of the views expressed. The conference also forces me to write some blog entries! Over the last few years, the bulk of my entries have been from TED. The first day started off with two TED Fellows sessions of about two hours each. The TED Fellows are people chosen for their groundbreaking work in a wide variety of fields. 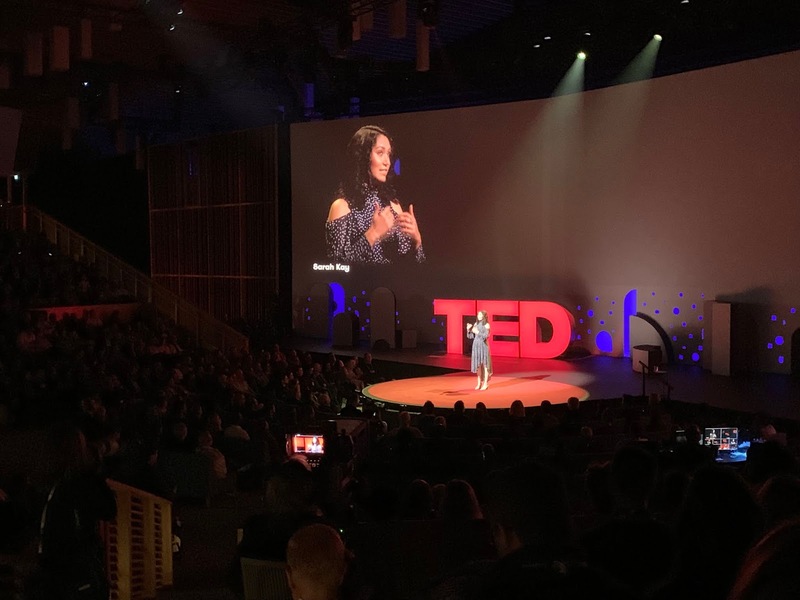 These talks are a way for them to describe that work to TED attendees. During those four hours, there were a LOT talks, most of them solid and a few worth noting. 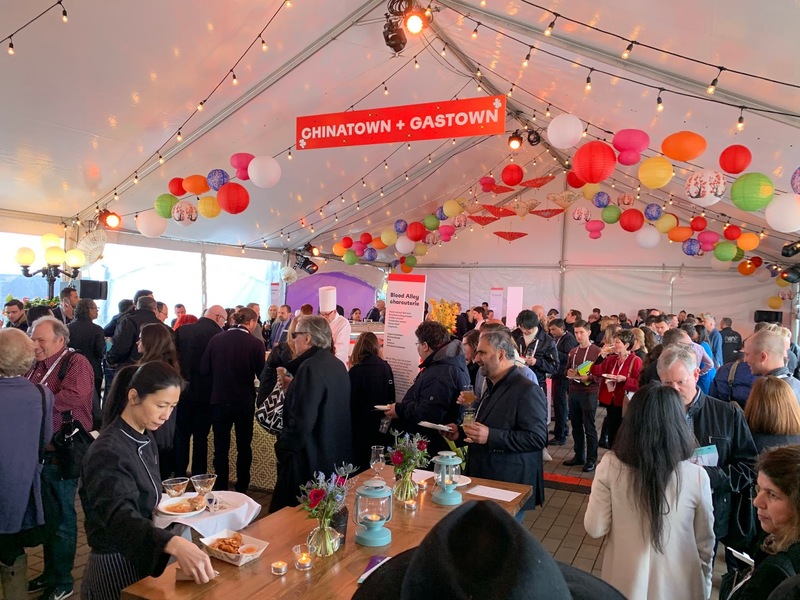 Among the notable talks, we heard about space junk, fruit flies, fishing cats, large movable stone sculptures, drugs made from constrained peptides, lion conservation, training female policy officers, teaching science through hip hop, and growing islands. MIT Media Labs' Arnav Kapur demonstrated a wearable AR device that you could inaudibly "talk" to and it would respond (like Siri) to you, also inaudibly. Basically, you could silently say, "What is the weather?" and have it tell you the answer without disrupting what is going on around you. The tech seemed a bit slow and left open a lot of questions, but it was an interesting glimpse into the not too distant future. Throughout the day, there was a recurring theme of the issues for African-American males of "driving while black." In my life, I've never feared an interaction with police and whenever I've been pulled over, the police have been polite let me go without getting a ticket. It is a very different story for African-american men. Marc Bamuthi Joseph performed a spoken word piece on his experiences with driving while black and his concerns about his son getting his driver's license. Brandon Anderson told a moving story of his African-American partner being killed by police in a routine traffic stop which led to him creating an app to crowdsource information on police interactions. Amma Ghartey-Tagoe Kootin described the 1901 World's Fair in Buffalo. It included three exhibits one titled Darkest Africa, another The Plantation, and one by W.E.B Dubois that told VERY different perspectives of the African-American experience. She has been working on a musical about this call At Buffalo. They performed a little bit of it on the TED Fellows stage. Bruce Friedrich explained the state of the art in plant- and cell-based meat and the positive environmental impact of eating such foods. I tried a bit of a Beyond Meat burger afterwards and it was very good. I plan to try grilling some at home. In the afternoon, was the first regular session of the conference, titled Truth. It was a very good opening session. It started off with some spoken word poetry by Sarah Kay. Generally, I'm not a big fan of poetry, but her performance of her poem had some powerful imagery that I very much enjoyed. Chris Anderson's intro included the line, "We may all be on a train wreck to hell, but at least the company is good." The line was ominous, but turned out to be appropriate for the first session. 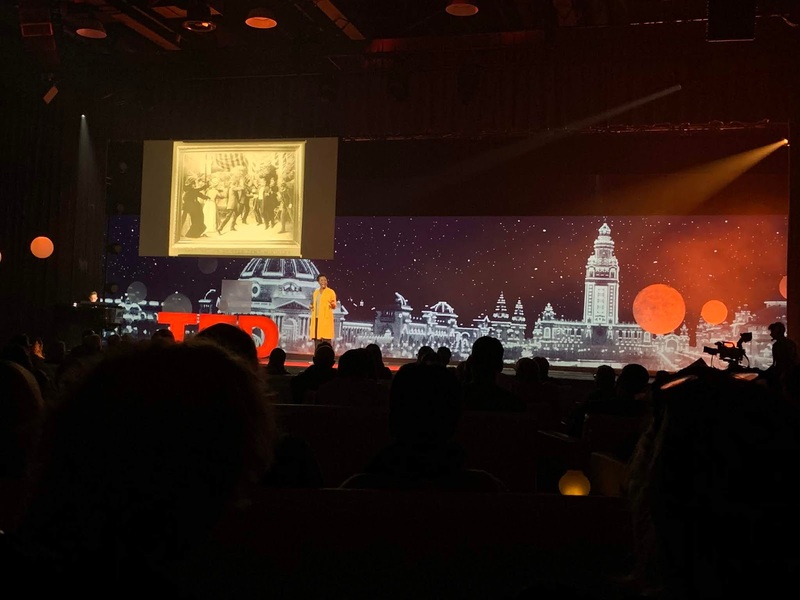 Anderson showed the power of TED by having one of the folks (Sheperd Doeleman) from the team that unveiled last week the image they created of a black hole. His conversation with Anderson gave me a much better sense of what the image actually was and the incredible amount of work that went into creating it. The first real talk was also the first to which I, and pretty much everyone in the audience, gave a standing ovation. It was by Carole Cadwalladr, a British journalist. She had been sent to report on how the Brexit vote came to pass. She went to a town in Wales that voted 62% in favor, even though the EU had paid for millions of pounds of projects there and the presence of few immigrants in the area. Trying to understand why that was so, led her to Facebook, the Brexit ads on that platform, the shadowy money that funded them, and Facebook's stonewalling the investigations into what happened. It was a harrowing talk and I give credit to Chris Anderson and TED for calling to task one of its sponsors. 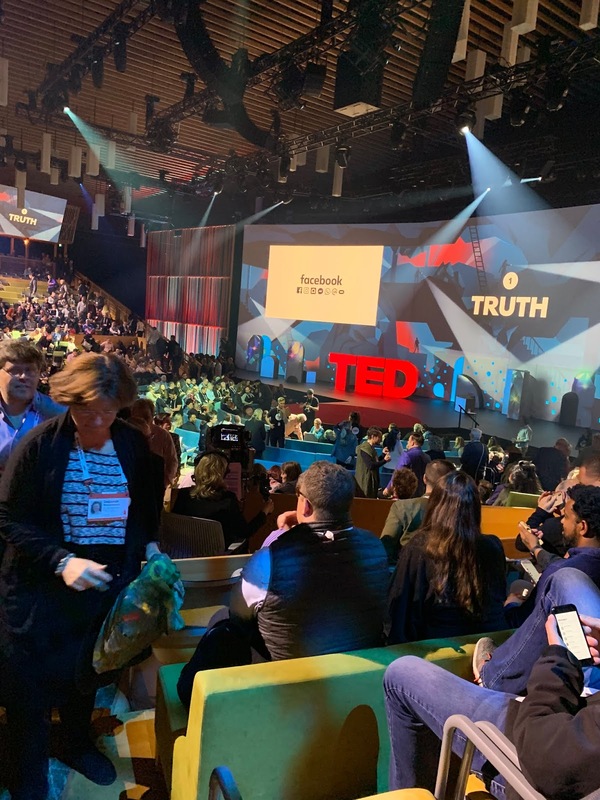 Never one to miss an opportunity to show the power of TED, he offered Mark Zuckerberg an opportunity from the TED stage if he wanted to respond. As I expected, the talk is the first one from the conference that TED posted. It is one you must watch. The next speaker was Frank Luntz, a pollster, political adviser, and wordsmith, mostly from the Right. His talk was not as controversial as he thought it was, but it was interesting and very quotable. He cited statistics such as half of people in their 20s have stopped talking to a friend or family member because of their political views. He is a master of words and gave out many lines like, "populism is a great way to get elected, but a horrible way to govern." His title for the talk was, It's Not What You Say, It's What People Hear. He talked about how to avoid incendiary words that stop conversations and instead use ones that move the conversation along. He gave things to say versus ones not to, such as "I get it rather" than "I'm listening" and insensitive remark rather than micro-aggression. The goal in each is to show interest without bringing up defensiveness. Baratunde Thurston, in a very funny talk, told his story about driving while black. He then talked mostly about the common click bait headlines like, "White Woman Calls Cops on a Black Girl Selling Water." He shared his ideas on those kinds of words and how to turn them on their head. His talk was enjoyable and yet very thought provoking. Hamdi Ulukaya, the founder of Chobani, grew up in Turkey. He told the story of buying a yogurt factory in upstate New York that was about to shutdown and using it to create his company. He opined that the standard playbook that guided CEOs for the last 40 years is broken. He gave his thoughts on a new, anti-CEO playbook. It was an engaging and upbeat talk. I just need to find a way to get him a copy of Limit Your Greed! There was, of course, an evening party. The food was good, but I did not have enough energy to talk to more than a couple people. 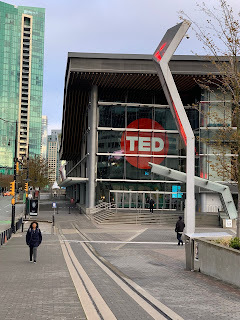 It was a good first day at TED 2019. Can't wait to find out what the next day has in store!